OUR PURSUIT OF ART : WE HAVE A NEW WEBSITE: Modern art ? 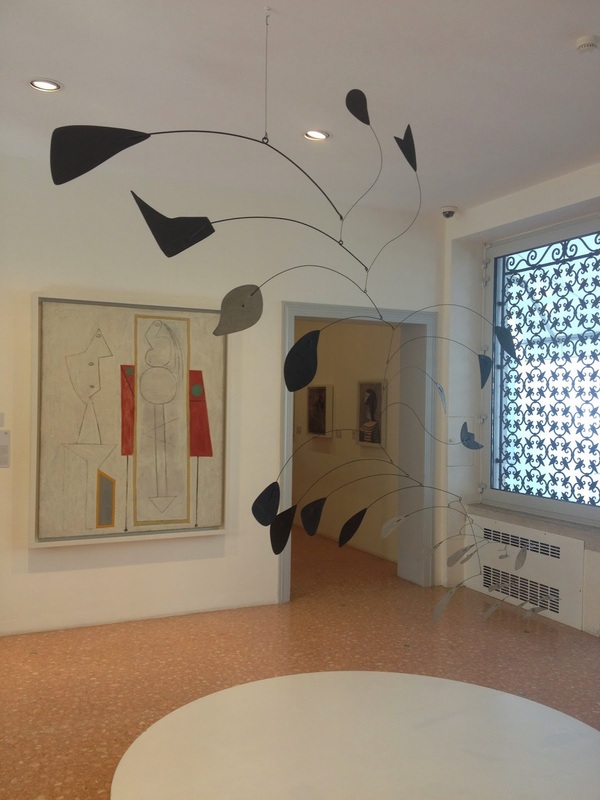 During a visit to the Peggy Guggenheim collection in Venice the phrase “this would be nice in my living room” dropped into the conversation. I can’t remember which artwork we were talking about, it could have been a Burri, but it was a very abstract piece. It would have been “nice” in a living room or a hallway or corny old hotel room, because it was just a great piece of art and it wouldn’t really matter in which context the piece would be. But this phrase had me thinking, is it a fact that hanging an abstract piece of art above your sofa a thing these days? I can clearly imagine the homes of the richer middle class with paintings on the wall, very abstract, lots of texture and massive brushstrokes. Are all those people Art lovers strolling around art galleries in their free time and spend huge amounts of money to amplify their art collections? I got very curious and went to do some research about the art pieces found in home and interior decoration websites and magazines. Soon I found numerous websites of young artists specializing in paintings for your home. Ok it is visually pleasing but not very interesting and personally I don’t like it but that is not my point. The point I want to make is that we strive for liberty especially when it comes to art, so what is happening when the artist makes his art according to what the client wants for his home? Of course art is the kind of representation of the culture we live in, or even better kunstwollen (Alois Riegl) the force driving the evolution of style, what we as viewer want to see is the kunstwollen of a certain culture or time. I think art is something honest, and you shouldn’t pick a piece because it fits well with your wall colour at home. The whole industry of “art” making for a specific room in a specific house has gone too far in my opinion, and I wouldn’t call it art, it is simply a home decorating object. What do you think? Are we the new generation of churches that assign “artists” or craftsmen would be better maybe to make our “modern art” for our houses?